You'll be £6.00 closer to your next £10.00 credit when you purchase Tiger I. What's this? When at Hitler’s insistence the first Tiger I tanks went into action in Tunisia in December 1942 they rapidly gained a formidable fighting reputation despite their lack of reliability and the small number deployed. With its heavy armour and 88mm gun, it outclassed all the Allied tanks then in service and forced the Allies to accelerate the introduction of improved anti-tank guns and tanks that could match the Tiger in terms of firepower and protection. 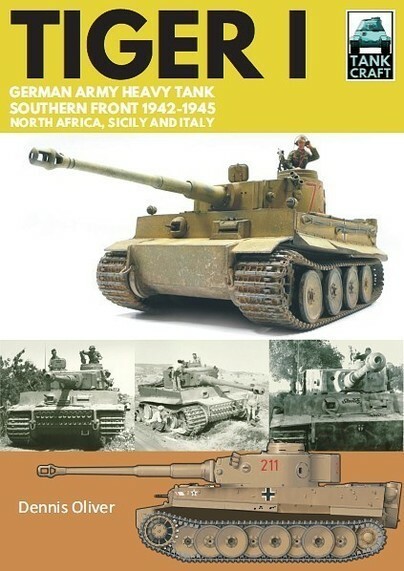 In this, his second volume in the TankCraft series on the Tiger, Dennis Oliver uses archive photos and extensively researched colour illustrations to examine the Tiger tanks and German army units that first took them into combat in North Africa and then operated them as they fell back through Sicily and Italy between 1943 and 1945. A large part of the book showcases available model kits and aftermarket products, complemented by a gallery of beautifully constructed and painted models in various scales. Technical details as well as modifications introduced during production and in the field are also examined providing everything the modeller needs to recreate an accurate representation of the tanks that made such an immediate impact on the southern front during the Second World War. For the scale modeling enthusiast and Tiger Tank history buffs, this book is one of the finest available... Fantastic book for the serious student, the casual historical reader or those who recreate history via scale modeling. I would highly recommend Tiger I as a fantastic study of the machine or in getting right down to the nuts and bolts of an actual build. It will vastly improve your work with its many levels of tips and suggestions. It is a great addition to the Tiger tank enthusiast’s library as well as a great historical study of the legendary Tank. A good starting point for those researching/building a Tiger I. Another fine addition to the Tankcraft series from Dennis Oliver, and being on the subject of the ever popular Tiger I this is sure to be popular.